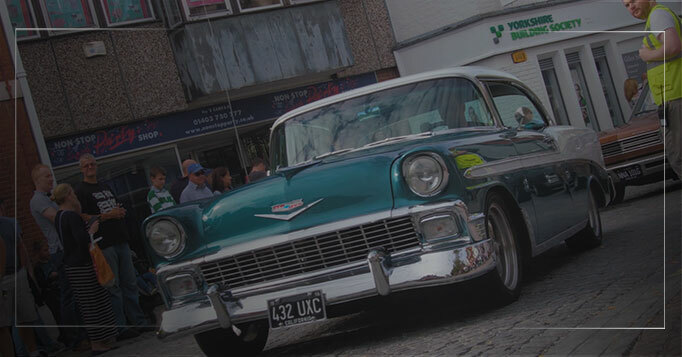 Building on the success of the Piazza Italia events in Horsham, 2017 saw the introduction of the American-flavoured Ameri-Car-Na event. The Horsham Time Well Spent fictional family The Symes, headed to the event after starting their morning at the retro Max’s Diner just outside the town. Dressed in their finest vintage wear, the family took in the cars and live music at the event. With this video, we wanted to create an engaging, dynamic look at the event and feature as much of it as possible within a short time frame and to back it to some classic rock n’ roll music as well. Shooting events like this can be a challenge as you have certain things to be at by specific times and often have little time to prepare for what you shoot. Having shot events like this before, we are now adept at covering them and getting the shots we need, with interesting framing, all within the time constraints the day can present. Alongside this main event coverage, we also shot a short promo for the Irregular Choice shoe exhibition at Horsham Museum. Celebrating the history of this globally popular, eclectic shoe brand, the video achieved a huge view count on Facebook.